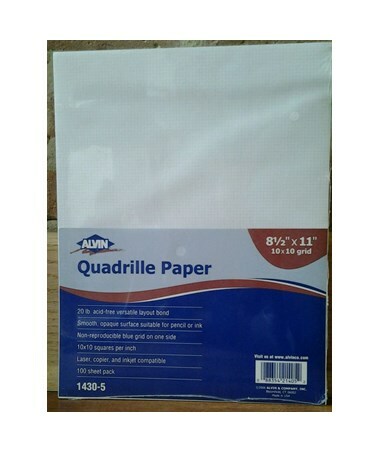 The Alvin Quadrille Paper With 10 x 10 Grid (Qty. 100 Sheets) is a lined drawing paper designed for plotting graphs, drawing diagrams, statistical data, and others. 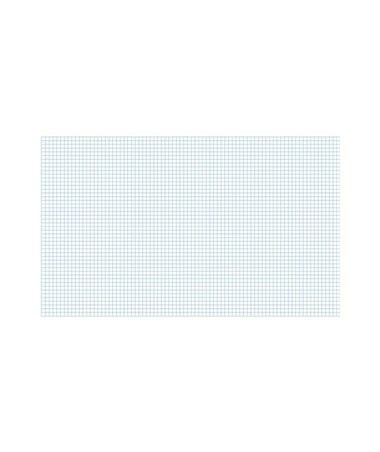 An ideal paper medium for draftsmen, engineers, and architects, it features a non-reproducible blue grid on one of its sides. The grid is composed of evenly spaced lines with 10 x 10 squares per inch. With a smooth, opaque white surface that contrasts well with many colors, this quadrille paper works perfectly with both pencil and ink. It is also compatible with laser, inkjet and copier. This 20 lb. basis and acid-free layout bond has good erasing qualities. The Alvin Quadrille Paper With 10 x 10 Grid (Qty. 100 Sheets) is a functional and versatile drawing paper. It comes in three different sizes to suit various drawing needs. Each pad includes 100 gridded sheets. 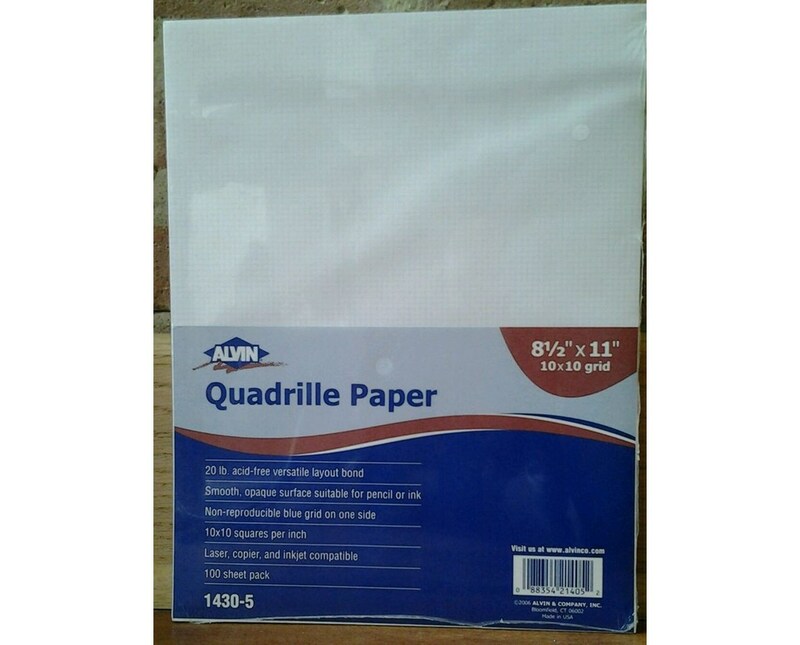 The Alvin Quadrille Paper With 10 x 10 Grid (Qty. 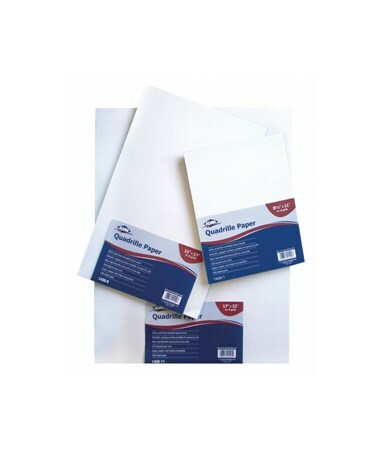 100 Sheets) comes in three sizes. Please select your preference from the drop-down menu above.